Hyundai Eon, a name that is at the tip of every conscious Indian these days; a kind of extreme anticipation, a strong curiosity for the compact car which is about to launch tomorrow. The small car comes from the stable of India’s second largest passenger car producer; Hyundai Motors. Since the launch date announced by the company, there has been a kind of hustle in the auto lanes of India not only among the car buyer but also rival car manufacturers. Every consumer who already owns a car or desires to buy one is religiously following each and every update about the vehicle. And of course the small car will perform as per the expectation as it holds the time tested insignia of Hyundai Motors. The booking is open across the nation for the compact vehicle and the buyer just needs to pay the booking amount of INR 20,000. If in any case after the launch the buyer doesn’t feels satisfied with the product he can have his money back; that’s a sign of greatness Hyundai maintains among its consumers. Hyundai Eon will be packed with a lively 814cc, 3-cylinder Single Over Head Camshaft (SOHC) engine which is proficient enough to produce a maximum power of 56 PS at 5500 rpm along with maximum torque of 7.65 KGM at 4000 rpm. The mileage which is claimed by the company is remarkable and that is around 21.1 kmpl. The long awaited vehicle is expected to begin with INR 2.75 Lakhs for base level and end up to INR 3.75 Lakhs for the high-end model. The small car will be launched in six active variants and five striking colors. The variants start with D-Lite, D-Lite (O) continues with Era, Magna, Magna (O) and ends up to Sportz; the top-end model which will be loaded with air conditioner, power-steering, power-windows, central locking, music player and driver-side airbag for the safety. The exterior lines of the compact car follow the successful new fluidic philosophy of Hyundai, along with chrome finished grille at the front, fog-lamps, taller tail lamp for better rear visibility of the approaching car, door handles which are body colored. The specifications and the expected price tag mentioned above for Hyundai Eon, easily rates it as one of the best cars to hit the Indian auto sector. The small car is also much ahead in terms of styling, interior, mileage and price tag, from its arch challenger Maruti Alto; India largest selling car till date. Hyundai Eon is a middle class family car. is a low budget car . interiort are soo good and stylish. 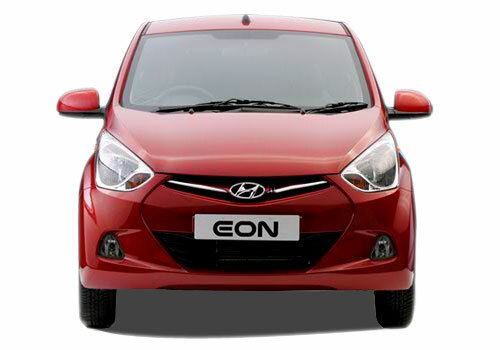 Hyundai Eon : Amazing car in affordable price !! It is enough to say that Hyundai Eon is excellent car. Hyundai Eon is a VFM model. I am totally impressed by its special features in such a lowest and affordable price range. I liked the top end model Sportz which seems to have all the advanced features. I am planning to buy it but waiting for its launch to get in touch with its actual features. <br />Well want to know about the actual price of Hyundai Eon, if any one have any idea? Please reply me. Hyundai Eon has been launched with six variants, the prices start with 2.69 to 3.71 lakh. I saw the features of all the variants and I think the top end variant is having the excellent features among all. The best thing in this Hyundai Eon Sportz model is that it's having all the advanced features in such a lowest cost i.e. in Rs. 3,71,869. I am Excited, my favourite Car is coming in india.